Two workshops that focus on financial well-being are being offered at the Coatesville Center for Community Health. A number of free programs are being offered to assist those who are struggling with financial issues during the economic downturn. 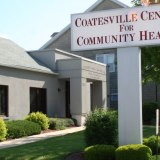 The Coatesville Center for Community Health has two upcoming programs scheduled. For those having difficulty escaping their past, a two-hour workshop is being offered to educate people about the pardon and expungement process. Presented by Legal Aid of Southeastern Pennsylvania, the sessions will be held at the Coatesville Center for Community Health on Tuesday, Feb. 26, at 3 p.m.; Monday, March 25, at 4 p.m.; Wednesday, April 24 at 4 p.m.; and Wednesday, May 22 at 3 p.m.
Credit problems will be the focus of a workshop conducted by PNC Bank, which will offer a checking account to qualified participants. The two-hour sessions at the health center are scheduled for Wednesday, Feb. 27, at 1 p.m.; Wednesday, March 27, at 3 p.m.; and Thursday, April 11, at 5 p.m. 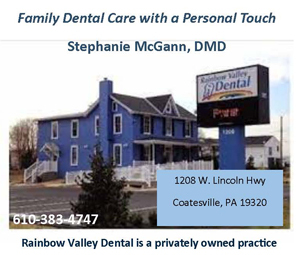 The Coatesville Center for Community Health is located at 1001 E. Lincoln Hwy., Coatesville, 19320. Registration is required for both programs; email Kathryn@coatesvillecenter.org or call 610-383-4612. A free, expanded employment assistance support and networking group for the unemployed and underemployed will offer “Maintaining Financial Stability While Going through Unemployment or Underemployment” on Monday from 7 to 8:30 p.m. in Room 104/106 at Calvary Fellowship Church of Downingtown, 95 West Devon Drive at Route 113, Lionville. The presentation, designed to help job-seekers identify ways to improve their finances during career transition, is a component of the 12 Steps Toward Employment workshop curriculum that is being presented as part of the weekly, year-round employment assistance activity. On Monday, March 4, the group will focus on “Matching Your Gifts and Talents with Prospective Employment Opportunities.” Additional individual support also is offered for resume writing, interview skills, job search assistance and more. For more information, along with suggested registration to help ensure availability of materials, is available from Casey Jones at bps461@msn.com or (610) 707-1494.